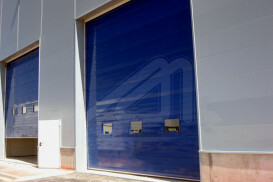 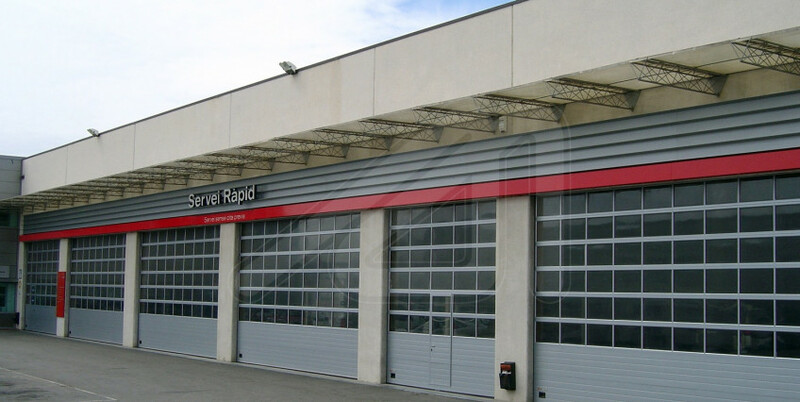 The sectional industrial doors from Angel Mir – Portes Bisbal, SL are robust doors with a high resistance and a high level of sealing. 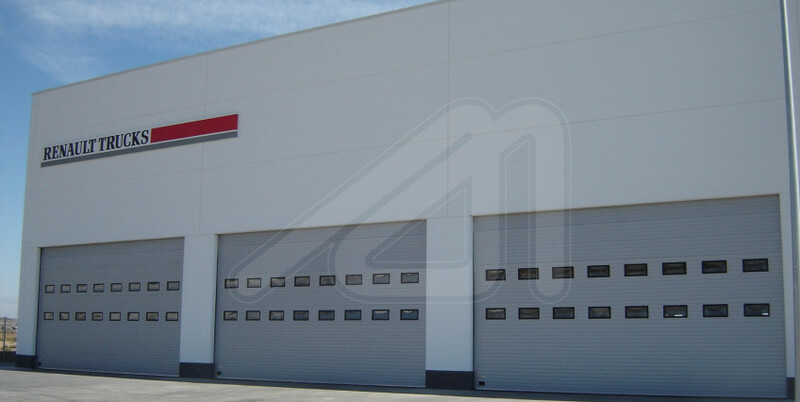 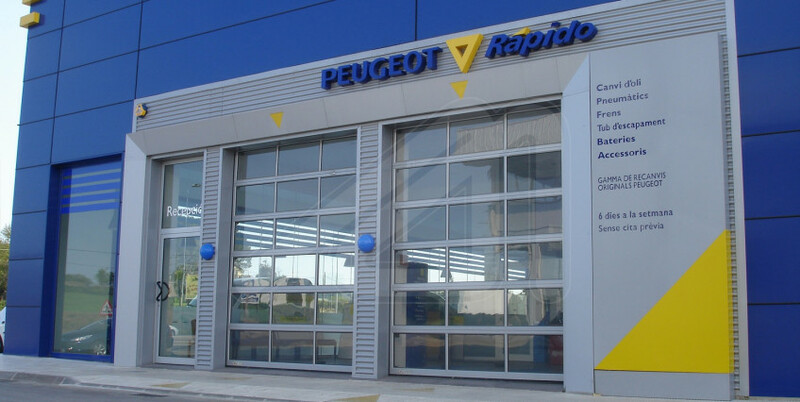 Thanks to their design, the sectional doors are easily adapted to any kind of space, because they are made with a set of compact panels that slide upward through lateral guides and are compensated by a spring system. 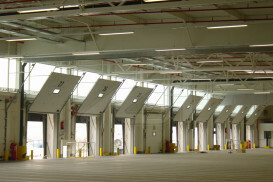 They are designed to not occupy surface outside nor inside and to overcome obstacles such as overhead cranes, beams or pipes. 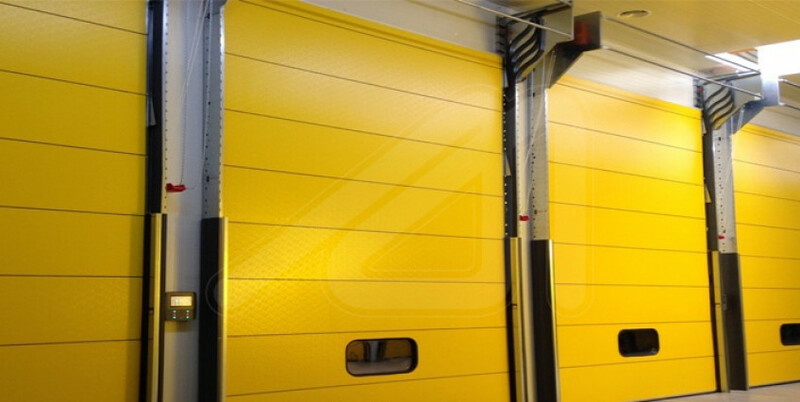 The sealing bands that are in the whole perimeter and between the door panels ensure high insulation against external inclemency, avoiding that water, dust and air currents come in, and preventing air conditioning losses. 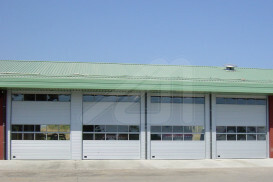 In addition, its operation is very smooth, practical and reliable. 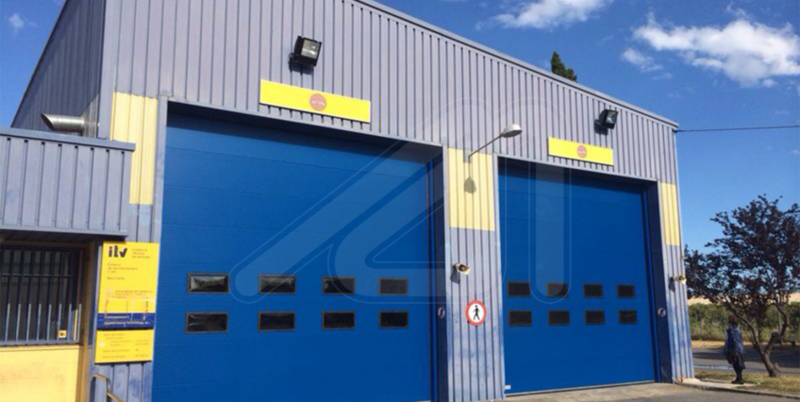 Available a wide range of prototypes and finishing for sectional doors, depending on the technical needs and requirements of each location. 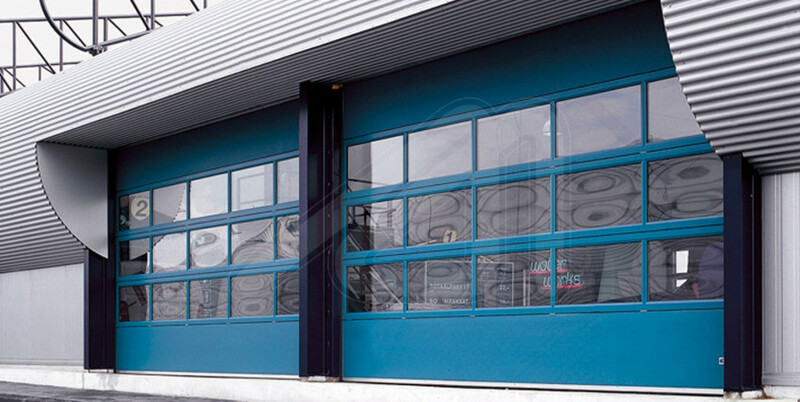 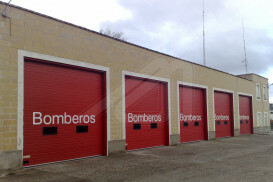 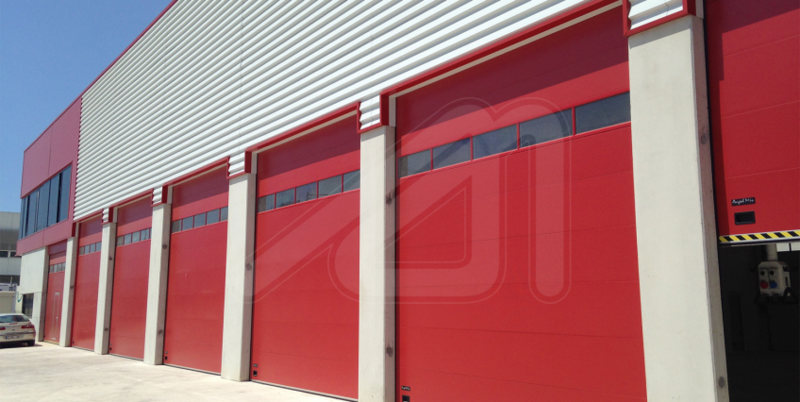 Industrial sectional doors with Sandwich panel for a perfect locking, high thermal insulation and maximum savings. 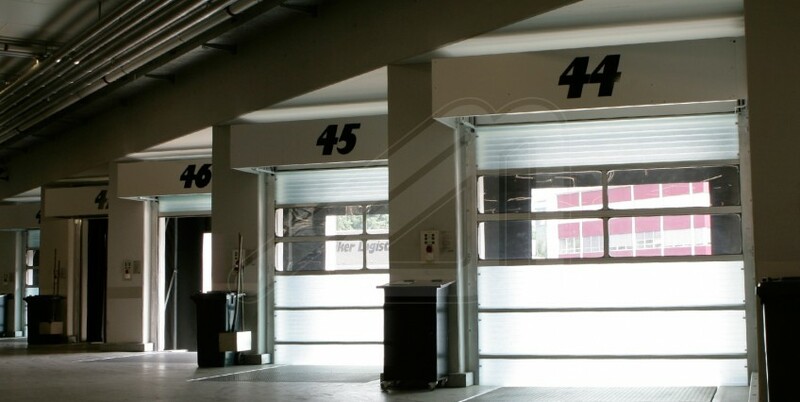 Glass sectional doors specially indicated for places where is the need to make the most of the natural light or to increase the vision capacity. 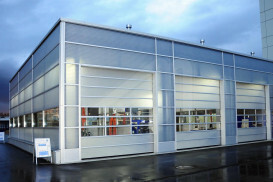 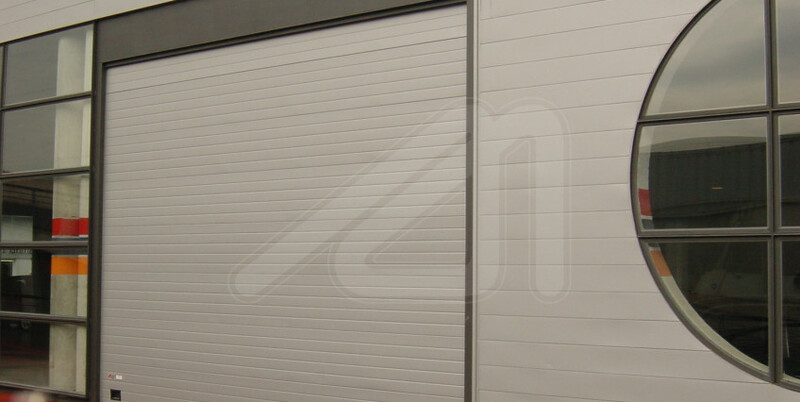 Sectional door for industrial use, combining the beauty and strength of the glazed panels with the resistance and the insulation of the Sandwich panels. 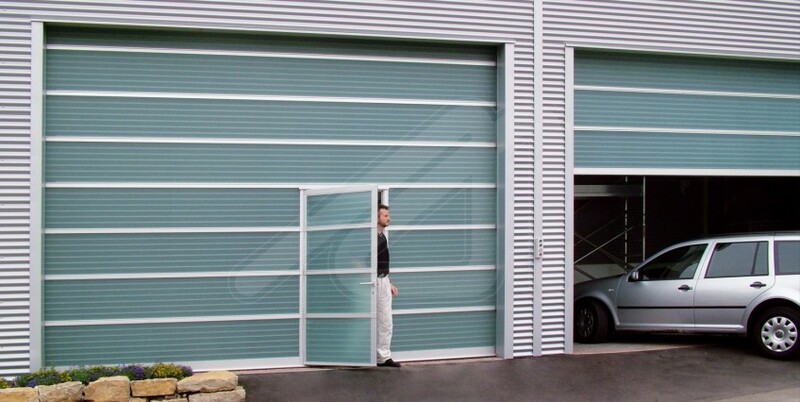 Industrial sectional door with vertical fold up folding system, suitable when lack of space. 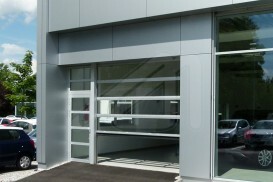 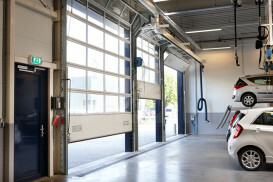 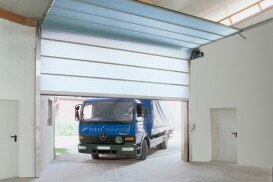 Sectional door intended to be used outward, in highly corrosive and marine environments. 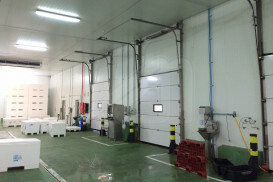 Industrial sectional doors specific for fruit ripening, particularly plantains and bananas. 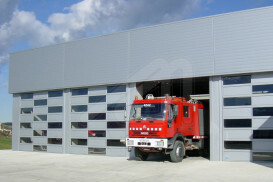 Rock wool sectional door for industries where there is fire risk and where, therefore, the use of foam insulation is not advisable. 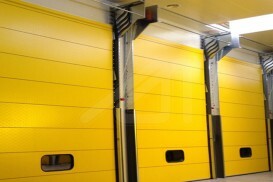 Sectional doors in sandwich panels specially designed for the openings in the industrial loading docks. 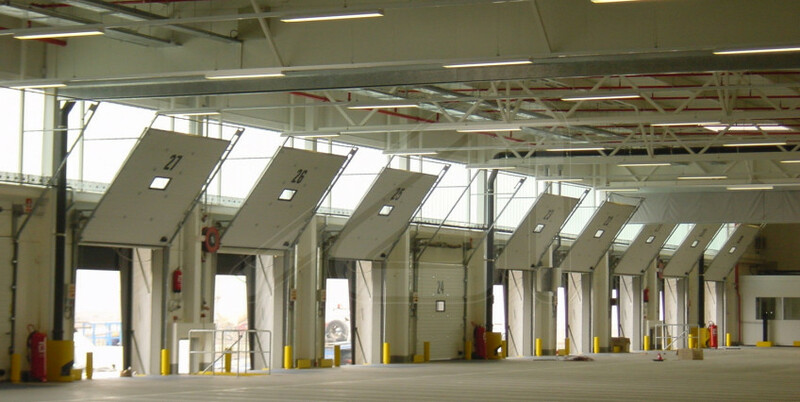 Sectional door for industrial use with fold up vertical lifting and fiberglass panels, warranting durability and savings. 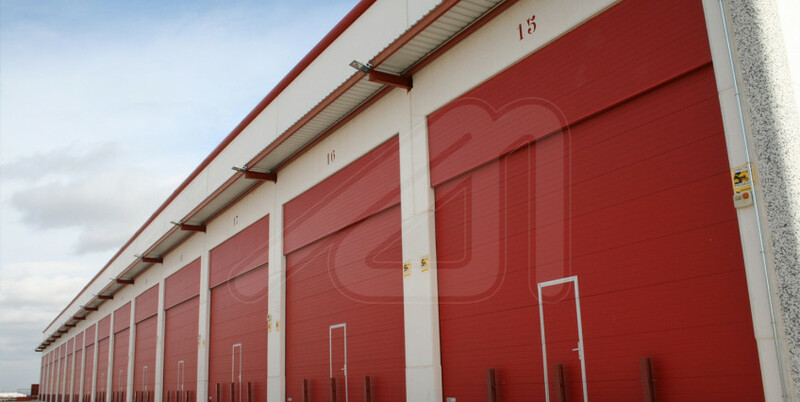 Sectional fiberglass door combining the opening system of a conventional sectional door and the advantages in terms of material and product of the fold up door Spacelite HT40.